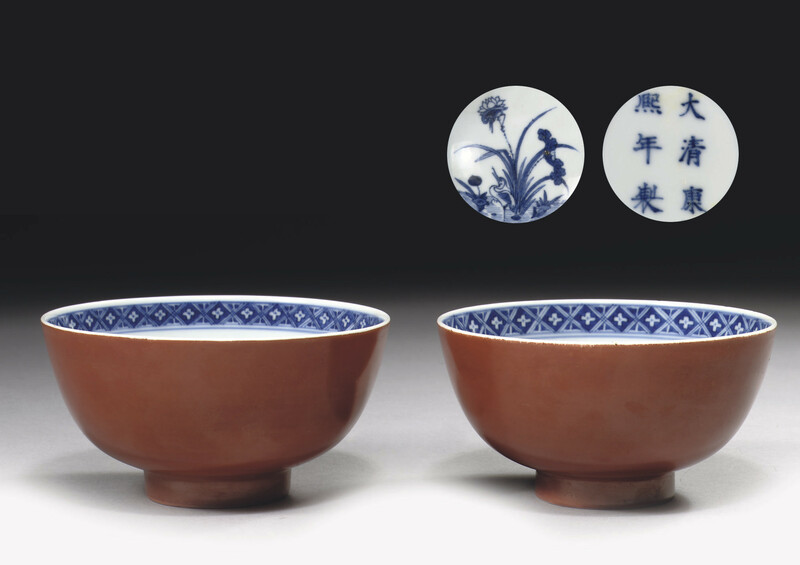 A very similar Kangxi-marked bowl is illustrated in The Official Kiln Porcelain of the Chinese Qing Dynasty, Shanghai, 2003, p. 51. This bowl is a continuation of an earlier Ming dynasty type, such as the bowl with underglaze blue, overglaze red and kinrande decoration, dated c. 1540-90, illustrated by J. Harrison-Hall, Ming Ceramics in the British Museum, London, 2001, p. 246, no. 9:67.